The Birth Center Packages and Home Birth Package with Birth Roots each include prenatal, labor and birth, postpartum and newborn care. Scroll down for additional services, including Labor Doula Services, VBAC, Water Birth and Well Woman Care. When a woman is considering hiring midwives to help her, the first step is to make an appointment for a free consultation. This gives the woman and her family an opportunity to meet the midwives, ask questions, and decide if midwifery care is right for her. The initial consultation also allows the midwives to ask their own questions to determine if the woman is a good candidate for midwifery care and home birth or birth at the birth center. The midwives will explain what their care includes, their fees, and their expectations. If the woman is healthy, responsible, and conscientious regarding her self-care, she is usually considered a good candidate for birth center or home birth. After consulting with a few midwives in the area, it is typical for the woman to choose which midwife practice she and her family would like to hire and the initial prenatal visit is scheduled soon after. Within the first couple of prenatal visits, the midwives will discuss the woman’s medical history, perform a physical exam, arrange a payment plan with the couple, review the appropriate contracts, and request all relevant medical records from past care providers. Blood may be drawn for the standard testing, as well as any other lab work that may be necessary. The midwives will assess the woman’s diet and nutritional status and make appropriate recommendations. All prenatal visits including the initial will include: a weight check, a urine check, measurement of the blood pressure, pulse, palpation of the abdomen to assess size and position of the fetus, and measurement of the uterine size in centimeters. The expectant mother comes to the midwife’s office for her prenatal visits once a month until she is 28 weeks along in her pregnancy. Then she will come every two weeks until 36 weeks, then once a week until she delivers. 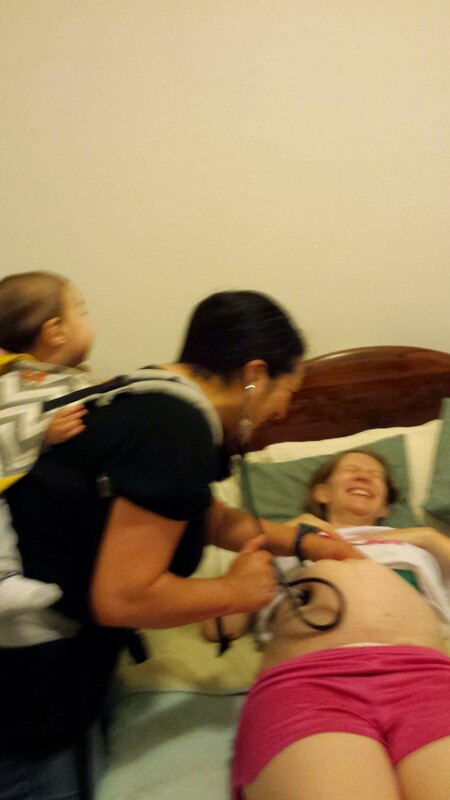 Around 36 weeks, the midwives will schedule a home visit for clients planning a home birth. The purpose of this visit is to meet anyone else who may be attending the birth, see where the woman’s home is located, make sure all her birthing and baby supplies are prepared and make recommendations if necessary, and discuss any matters relating to the imminent birth. When a woman thinks that her labor may be beginning or if she is sure that she has begun labor the midwives like to receive a heads-up. This can be in the form of a phone call or text message, if nothing is needed immediately. Usually, there are a series of communications that go on between the midwives and the mother to determine her needs. In the case of a home birth, the midwives will attend to the mother and arrive at her home when the mother is ready. 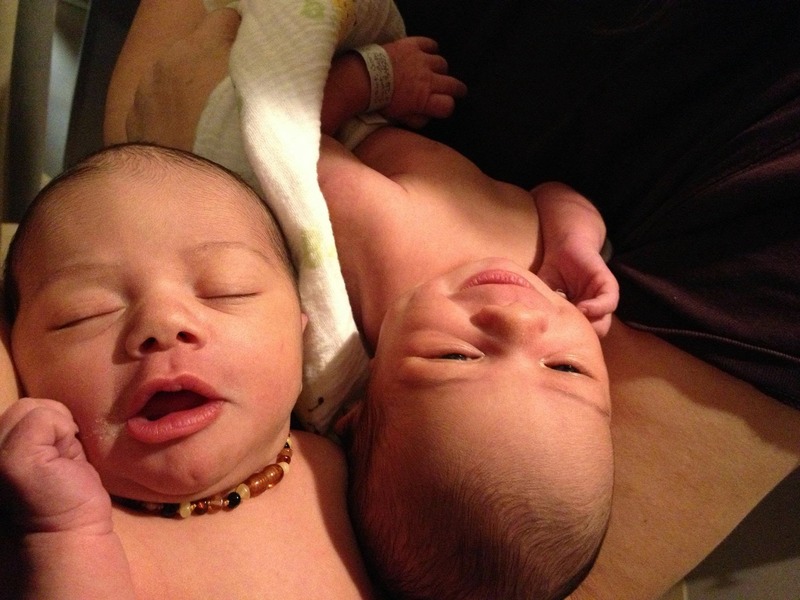 If a birth is planned for the birth center, the midwife will meet the family at the birth center. In some cases this may be for reassurance, an exam, early support, or for some suggestions for rest and relaxation. Once in the birth place, it is the job of the midwives to monitor, assess, and maintain the well-being of the baby and the mother. Vital signs, possible vaginal exams, and fetal heart rate monitoring are all part of this job. It is the mother’s job to keep her-self strong by eating and drinking regularly. Once the baby is born, the midwives help to facilitate bonding by encouraging the mother and baby time to meet one another without interruption. In most cases, during this time, the placenta is delivered and an exam will be performed to determine if the mother needs to be sutured; if so, the midwives suture while the mother continues bonding with her baby, if she chooses. The midwives perform a complete head to toe newborn exam on the baby including weighing the baby, make sure the mother has emptied her bladder, eaten, and that the baby has nursed well. The midwives then leave the family tucked in bed after a home birth, or at about 4-6 hours after a birth at the birth center, the family will head home in their own car. During the first 24 hours, unless there is a medical reason to come back sooner, the midwives call the mother to check in with how things are going. They go through a list of questions that include how well the baby is nursing, urinating, having bowel movements, and sleeping. They ask how the mother is feeling, coping, going to the bathroom, eating and drinking, and resting. It’s important to assess if either the mother or the baby are developing any signs of infection including fever, chills, abnormal aches and pains etc. The midwives will return on day two and ask the same questions, as well as perform the newborn screen test if desired, examine the mother and baby, check the baby’s weight, check the family’s needs, answer questions, and assist with nursing. The next home visit will be between five and seven days. At this visit, it is typical to weigh the baby, go through the list of common questions, examine mother and baby, and assist with nursing. It is common for the first inklings of nursing issues to come up around this time, as most women’s full milk supply is in at this point. As trained midwives, Darynée and Donna are able to offer caring and evidence based support for lactation. The following visit is a two week office visit checking all of the above mentioned items as well as ensuring the family is transitioning well. A final postpartum visit will be between six and eight weeks. Family planning, current family dynamics, and well-woman care are discussed at this final visit. The midwives’ priority is to ensure the mother feels good about her circumstances and feels like she has enough support to care for herself and her family. 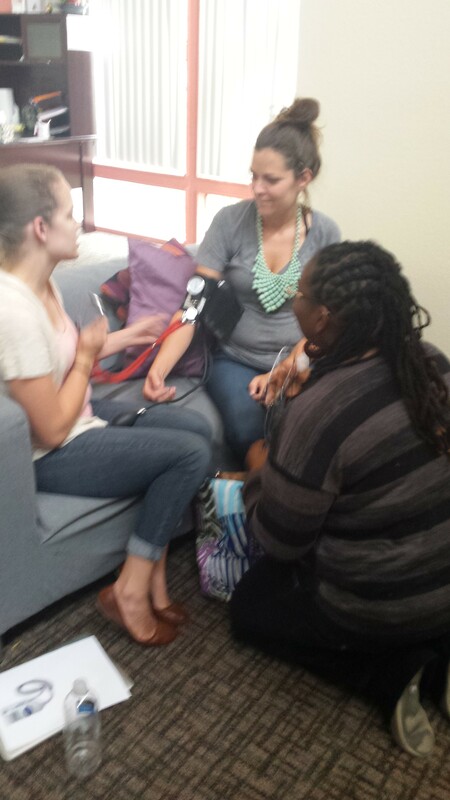 The Birth Roots practice includes doulas who are also student midwives. As doulas, we accompany women in labor to help ensure a safe and satisfying birth experience. We draw upon our knowledge and experience to provide emotional support, physical comfort and communication with your health care provider to ensure you have the information needed to make informed decisions in labor. Doulas can provide reassurance and perspective to you and your partner, make suggestions for labor progress, and help with relaxation, massage, positioning and other techniques for comfort. As doulas we prefer to meet with you and your partner several times before labor to become acquainted, to explore and discuss your priorities or concerns, and to plan how we might best work together. If you choose one of us as your doula, we will want to become familiar with your plans for labor, birth and postpartum. We will also want to know your own best ways of coping with pain and fatigue and how you and your partner foresee working together. We will also inform you of times that we are not available for labor support and will do our best to ensure our availability for your labor and birth. We may also decide on other meetings and will certainly want to remain in touch by telephone and/or email. 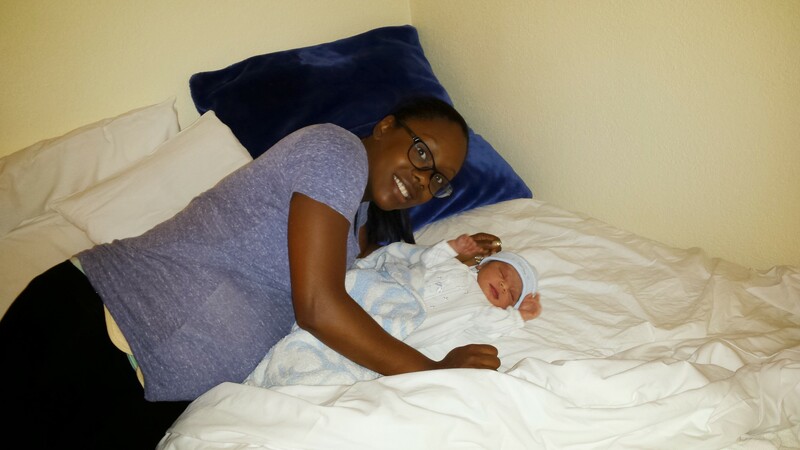 We are honored to attend births for women who have had prior cesarean births. 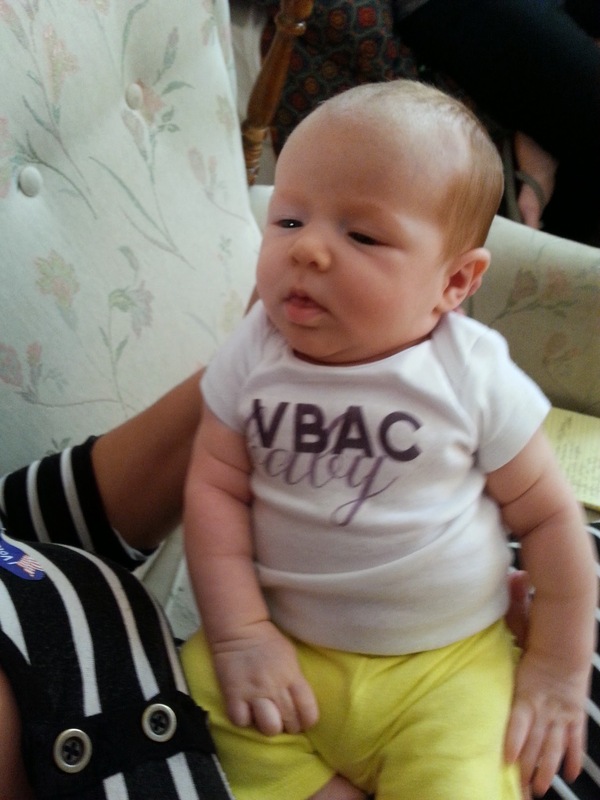 We attend VBACs both at home and in our birth center, on a case by case basis. We will discuss specific details of a woman’s past medical history regarding her caesarean and develop a safe and comfortable plan for all involved for giving birth at home or at the birth center. We also provide monitrice services and doula services for women planning VBAC in the hospital. We encourage women to have water available for labor and some women choose to give birth in the water. Buying and renting tubs are the most common choices that women utilize to birth in the water. We would be glad to go over these options with you. We offer deep, comfortable birthing tubs for use at the birth center. Women who have another primary care provider may desire additional prenatal care from a midwife at Birth Roots. Our holistic prenatal care, as described above, can complement standard hospital care with discussion of nutrition, movement, fears, dreams and plans for birth and parenting. Women who have had their babies in the hospital may want care from a midwife when they arrive home. Midwives bring a holistic perspective to the care of the new mother and new baby, including support for breastfeeding, post-cesarean care, and all the questions of new parenting. Our postpartum care includes home visits in the first two weeks after birth and office visits in the following weeks. As lactation consultants (IBCLC), Sarah and Darynée are able to offer caring and evidence based support for lactation. Well woman care with a midwife includes preconception counseling, labwork such as a Pap and STI testing, nutritional counseling, and breast exam. As always, our exams are done in a gentle, private, unrushed setting. A lot of the focus is on teaching women to know the various signs and symptoms their bodies show them that require personal attention or follow-up with a care provider. 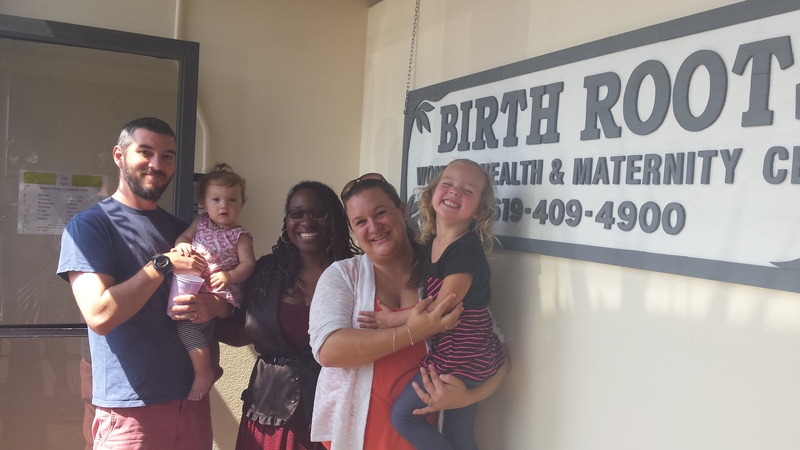 Birth Roots offers childbirth preparation courses as needed. Please call or email to see about current offerings.